Rolls-Royce has publicly demonstrated what it calls the “world’s first fully autonomous ferry” on a trip between Parainen and Nauvo in Finland. 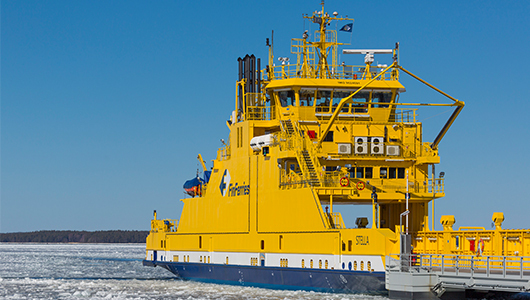 The British company entered a research partnership with Finnish state-owned Finferries back in May, revealing plans to “optimize ship safety and efficiency” through developing and demonstrating autonomous ferry technologies. SVAN is a demonstration of the world’s first remote and autonomous ferry with a focus on improving the safety and efficiency of vessel operations and supporting the crew. A collaboration between Rolls-Royce and Finferries; two companies with a common goal to push the boundaries of ship technology. A ground-breaking achievement and an insight into what the near-future in maritime operations hold and the possibilities they will bring to ship-owners around the world in the era of Ship Intelligence. 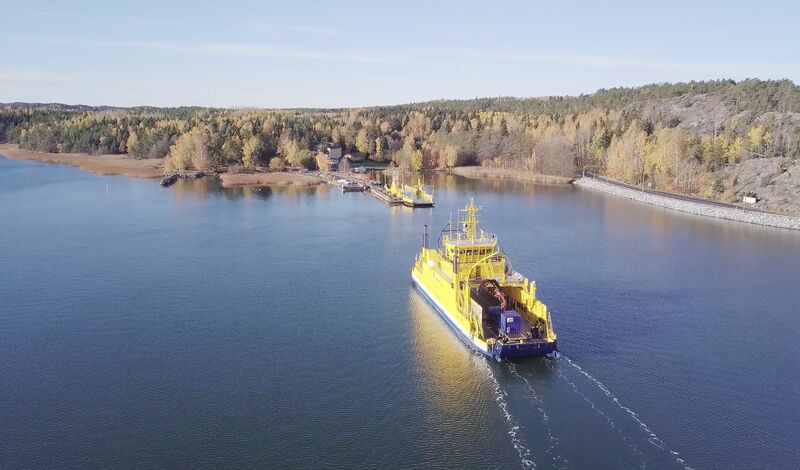 The first fruits of this project — which is called SVAN (Safer Vessel with Autonomous Navigation) — have been revealed today after the team conducted around 400 hours of trials in the Turku archipelago using an adapted 53.8-meter Falco car ferry. “Today’s demonstration proves that the autonomous ship is not just a concept, but something that will transform shipping as we know it,” said Rolls-Royce’s president for commercial marine Mikael Makinen, in a press release. 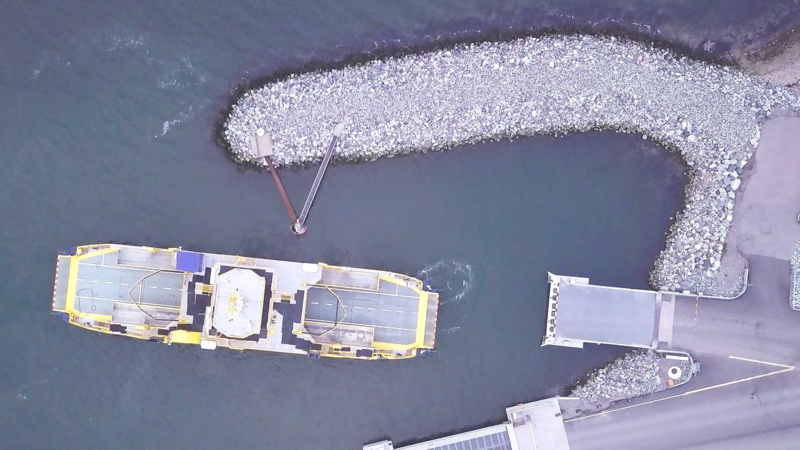 The ferry is loaded with myriad sensors, meshed with artificial intelligence (AI) software to help it identify and avoid objects in its immediate vicinity. Traveling from Parainen to Nauvo, the Falco ferry operated completely autonomously, but the return journey was controlled remotely from a command center 50 kilometres away in Turku, demonstrating that the ship can be commandeered by a human if required. 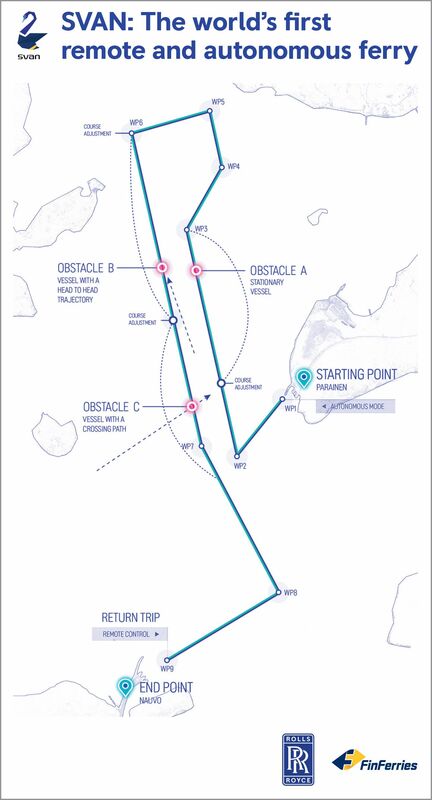 Additionally, Rolls-Royce and Finferries demonstrated an “auto-docking” system that basically enables the ferry to alter its speed and course when it’s coming into port. 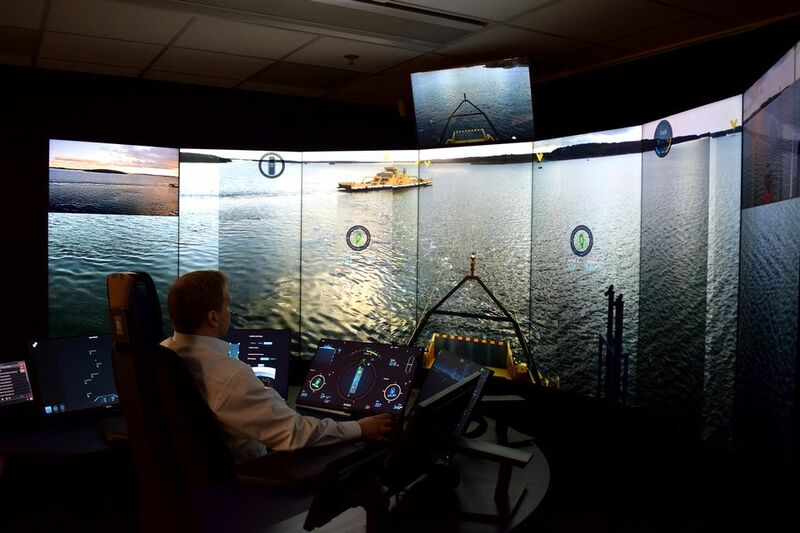 “Today marks a huge step forward in the journey toward autonomous shipping and reaffirms exactly what we have been saying for several years, that autonomous shipping will happen,” Makinen added. 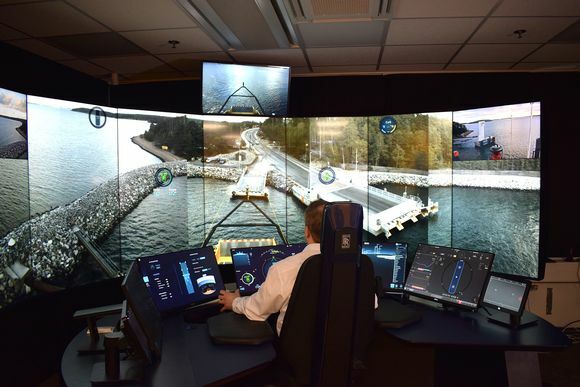 Captain Tuumas Mikkola on Falco's virtual bridge located some 30km away from the ferry in a Finferries' office in Turku. Swimming elk the only challenge for the AI system monitoring obstacles en route. While rarely a day goes by without self-driving cars making the headlines, there has been a quiet push to bring autonomy to other modes of transport, including planes, trains, and, indeed, sea-faring vessels. Back in 2016, news emerged of an autonomous unmanned warship called Sea Hunter, which was developed by research agency DARPA, while the following year a new crewless cargo ship called the Yara Birkeland was announced out of Norway — though it isn’t expected to go into full operation without a crew until 2020. A few months back, the Norwegian University of Science and Technology (NNTU) also carried out trials of a tiny electric driverless passenger ferry. Elsewhere, Rolls-Royce recently announced a partnership with Intel as part of a grand plan to bring self-guided cargo ships to the world’s seas by 2025. With technology and automotive giants such as Alphabet’s Waymo and Volvo continuing to improve and iterate on their self-driving car smarts, we are now starting to see the early commercial implementations of all that groundwork. Last month, for example, Volvo announced its first commercial self-driving trucks will be used in the mining industry, while Waymo is gearing up to launch an autonomous taxi service with no human in the driver seat. These efforts will undoubtedly continue to raise concerns about implications for human employment, but the technology and automotive companies share a core counter-argument: safety. “As a modern ship owner, our main goal in this cooperation has been on increasing safety in marine traffic, as this is beneficial for both the environment and our passengers,” added Finferries CEO Mats Rosin.